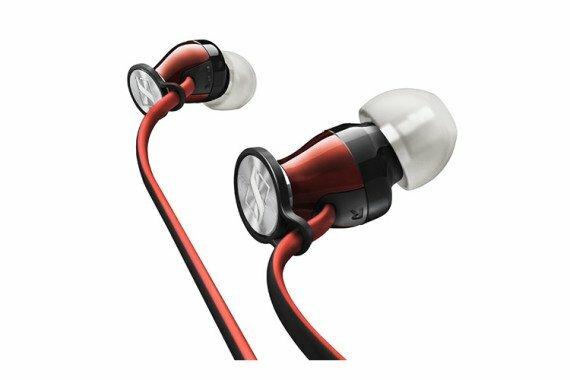 Although these are not active noise-cancelling earphones – you’ll have to go to the Bose QuietComfort 20i, Sony h.ear in NC MDR-EX750NA or Audio Technica ANC33iS Quiet Point for the only examples of those we know of – they try to block out external din pretty well. However, what they don’t do, which many isolators do, is totally block-out noise too much, thereby making your own footsteps audible. You never have to put your phone on full volume – and that’s the first sign of a decent pair of earphones. Build quality is excellent, and although we’re just now publishing this review, we’ve actually been using them for well over six months. The Momentums do come in a small square travel case, but it’s not small enough to be usable; these are best stored in a top shirt pocket or similar. From podcasts and radio to bass-filled tunes, the Momentums cope with everything. There’s no hissy high-end or overdone low frequencies, just good, well-balanced audio with plenty of mid-range.